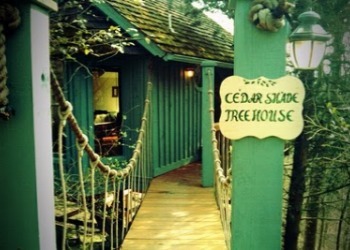 Treehouse Cottages was designed and built by owners Terry & Patsy Miller. 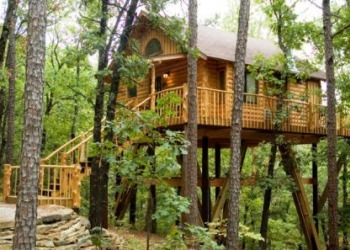 All treehouses are more than 22 feet off the ground and have a stunning view of the beautiful surrounding forest. We have 2 unique locations! 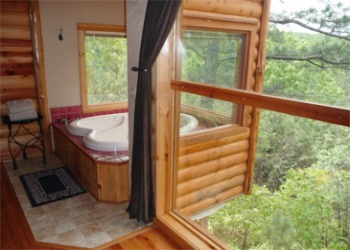 One is within walking distance of the beautiful downtown Eureka Springs Historic District. The other is nestled in a pine forest, just a mile away. In addition to the treehouses, we also have a 2-story guest cottage, which overlooks our terraced flower garden, and features a hot tub on the deck! Some of our amenities include: fresh flowers ~ complimentary snacks and beverages (including our homemade bread) ~ champagne and chocolates for our honeymoon and anniversary guests ~ Fine linens and Egyptian cotton towels ~ and a FREE movie library for your enjoyment. Come and experience our one-of-a-kind accommodations. Treehouse Cottages: a perfect place to fall in love!